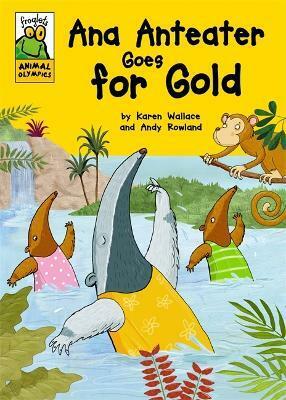 Ana Anteater has a special skill: synchronized swimming! Along with her friends she whirls and twirls around the water - so when the Olympics comes to town she has to enter! The Froglets series is perfect for children who are reading on their own, with fun stories of no more than 200 words. They are suitable for 5 year olds or those reading book band 5.